For most doctors, keeping uptodate means participating in continuing medical education ( CME) programs by attending conferences or reading medical journals. I feel a much better way today is to publish your own website and encourage online patients to ask you questions ! When you answer these, you will end up learning a lot ! Some questions can be very sophisticated; and many internet positive patients are very intelligent and well-informed. They have done a lot of research and will often cross-question and challenge your authority. This is very helpful if you are willing to keep an open mind ! 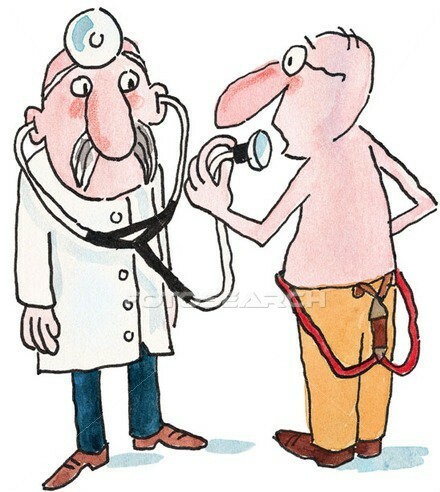 push the envelope and try out new unconventional stuff in their quest for the best medical care ! Answering questions will teach you to be respectful. For every question you answer, smart patients are likely to ask 2 more - and then you often have to think more deeply than you ever did ! You may find yourself questioning your most basic assumptions and you may even find that a lot of what you are doing can be easily improved. The world has become a small place and patients will ask why you do not have certain advanced equipment which clinics in other parts of the world possess. You may find you have to invest in new equipment - or have to polish your skills, so you do not become obsolete and irrelevant. Clever patients will force you to remain uptodate with the medical literature ! Some will refer you to articles in medical journals which you may have overlooked - and most of us do need pushing and prodding to ensure we maintain our competence. It's best if this push comes from our own patients, rather than some faceless nameless bureaucrat ! Answering questions will help you to improve your communication skills . You need to learn to write well in order to communicate cogently - as Bacon said, writing maketh an exact man ! We all know that the best way to remember stuff is to use it and apply it. Answering your patient's questions in writing will ensure that the new information you imbibe becomes a part of your knowledgebase, because you have made use of it ! Your website will help you to become empathetic . Patients will often talk openly about their personal feelings more easily in an email. This may not be intuitive, but the truth is that patients are reluctant to share their feelings when sitting in front of the doctor , because they do not want to waste the doctor's precious time; and are not sure how the doctor will respond if they burst out crying, which is why they will often bottle up their feelings. However , in an ongoing email conversation, they have time to sit down and spill their guts - and are often more comfortable doing so, because they are protected and anonymous. Email conversations with patients will teach you humility as well. Your patient may follow a course of action which is diametrically opposite to what you advised - and end up getting dramatically better, proving that your advise was incorrect. While most of us do not like being proven wrong, if you keep an open mind and are willing to learn , you will learn a lot from these patients !